Screenshot via TerrafugiaNot 140 characters. Peter Thiel is wrong. His famous comment on the failed promise of the Internet — “We wanted flying cars, instead we got 140 characters” — is about to be upended as the first actual flying cars take to the roads, and the skies. Bloomberg reported on the progress of the biggest name in the flying car business, Terrafugia, which is nearing the culmination of a decade-long effort to build, drive, fly, market and, yes, sell a flying cars to the dreamers who’ve always wanted one. 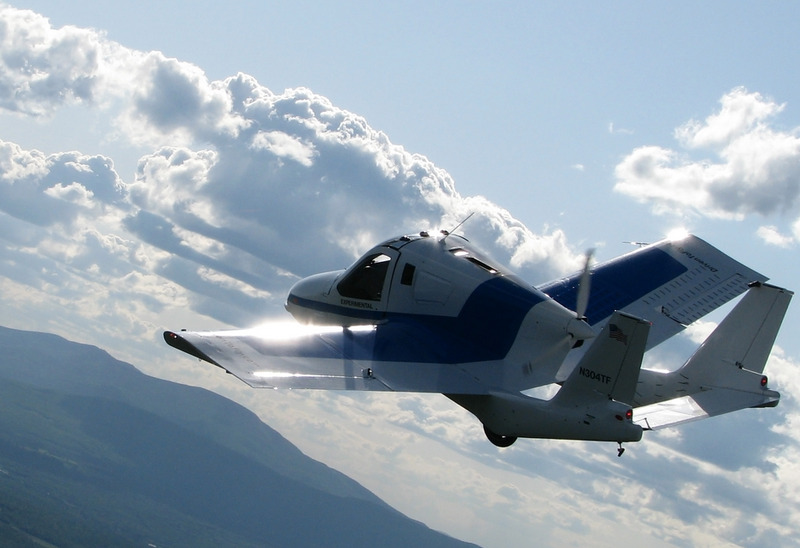 Critics say flying cars are unlikely to be both great aeroplanes and great automobiles. But that misses the point, says Dietrich, who explains the Transition is intended to expand the definition of an aeroplane, solving a number of persistent problems in the process. The Transition is a versatile vehicle, as flying cars go. It runs on regular gas, can be parked in a regular garage, and provides the flexibility to fly when the weather is good and drive when it isn’t, as Dean points out. At about $US280,000, it’s priced in the ballpark of some exotic supercars. So it could be a very cool toy, but there’s also a business case: If you need to cover a lot of ground in a short period of time, the Transition unlocks America’s underutilized network of small, regional airfields. So Thiel is right: We have had to get by with 140 characters of innovation, up to this point. But the flying cars we always wanted are finally coming. And if Thiel wants to get a “light sport aircraft” licence and is willing put down a $US10,000 deposit, he can both have one — and fly it.